This foto was taken during a taxi ride in Cairo, 2007. The colours are not manipulated. With a 24mm, F100 Nikon on film. I like the way the taxi driver is looking over. The person in the back seat showed us round Cairo. That would be my first personal advice: don’t manipulate your photographs. Of course, photoshop allows for all sorts of enhancements. But in the end you’ll probably feel frustrated. You will start thinking you're not really good at photograhy at all and rely all the time on photoshop to do the job for you. You will also waste a terrible amount of time. And worst of all you will lose the feeling of excitement you had when you actually took the photograph, your relation with time and place will get blurred. Dieses Foto wurde während einer Taxifahrt in Kairo 2007, aufgenommen. Die Farben wurden nicht manipuliert. Mit einem 24mm Nikkor, F100 Nikon auf Film. Mir gefällt, wie der Taxifahrer rüberschaut. Die Person auf der Rückbank hat uns Kairo gezeigt. Das wäre mein erster persönlicher Ratschlag: Manipuliere nicht deine Fotos. Photoshop macht natürlich allerlei Verbesserungen möglich. Aber im Endeffekt wird dich die Sache nur frustrieren. Du wirst anfangen zu glauben, dass du kein guter Fotograf bist und dich von Photoshop abhängig machen. Und du wirst eine Menge Zeit verlieren. Vor allem wird dir die Aufregung, die du bei der Aufnahme empfunden hast, verloren gehen, dein Bezug zur Zeit und zum Ort wird verwischt. Taken in Damascus, August 2011. Nikon F100, 105mm Macro-Nikkor, indirect Flash. You can see me in the background. This would be my second piece of advice: you have to really like the person you are photographing. The enjoyment must go both ways. Taking a portrait is like a conversation. You are opening yourself up to the person being photographed, and vice versa. Also the surroundings are important. They too have something to say about the person. Best is to take photographs where the person lives of works. Aufgenommen in Damaskus, August 2011. Nikon F100, 105mm Macro-Nikkor, indirekter Flash. Man sieht mich im Hintergrund. Das wäre mein zweiter Ratschlag: Man muss die Person, die man fotografiert, wirklich mögen. Das Vergnügen muss ein beiderseitiges sein. Ein Portrait aufzunehmen ist wie ein Gespräch. Man öffnet sich der Person, die sich fotografieren lässt, und umgekehrt. Auch die Umgebung ist wichtig. Sie sagt was über die Person aus. Am besten ist es, die Person in ihrer Arbeits- oder Wohnumgebung aufzunehmen. Taken in Germany 2008. I like the way the colours blend into one another. Nikon F100, 105mm Nikkor. My subject is very self conscious in a positive way, which made taking shots a great pleasure. In Deutschland, 2008 aufgenommen. Mir gefallen die sanften Farbübergänge. Nikon F100, 105mm Nikkor. Die Portraitierte ist sehr selbstbewusst, was die Aufnahmen zu einem großen Vergnügen machten. Woman smoking shisha, Damascus, 2010. Nikon F100, 50mm Makro-Nikkor, indirect flash. This woman was conversing with her male friend so frankly and heartily, often laughing, that I found the courage to ask her if I could photograph her. She was a bit surprised but acquiesced. Often I lack the courage to ask and invariably kick myself for it. It’s better to get a no answer than give up without a try. Frau mit Schischa, Damaskus, 2010. Nikon F100, 105mm Macro-Nikkor, indirekter Flash. Diese Frau hat sich in der Bar mit ihrem Freund so herzhaft und offen unterhalten und dabei gelacht, dass ich den Mut fand, sie zu fragen, ob sie sich fotografieren lassen würde. Sie war etwas überrascht aber machte mit. Sehr oft habe ich den Mut zu fragen nicht gefunden, was ich im nachhinein bedauert habe. Lieber sich eine Absage holen, als es nicht zu versuchen. I practically never use my wide angle, certainly not for portraits. Wide angles (24mm) are good for registering a large group of people or a whole building etc. If you were to use a wide angle for portraits, you would have to ask the person to come nearer to the camera. So the person might be the right size, but the background will be very small and/or include a lot of information which possibly distracts from the person. On the other hand, if you were photographing a worker in front of his huge cement factory, that is precisely what you might want. Ich verwende fast nie meinen Weitwinkel, jedenfalls nicht für Portraits. Weitwinkel (24mm) sind gut für die Aufnahme einer großen Gruppe oder eines ganzen Gebäudes usw. Falls du einen Weitwinkel für Portraits doch benutzt, müsstest du die Person bitten, näher an die Kamera heranzutreten. Somit hätte sie die richtige Größe, aber der Hintergrund würde sehr klein erscheinen und/oder zu viele Informationen enthalten, die von der Person ablenken. Andererseits, würdest du einen Arbeiter vor seiner Zementfabrik fotografieren wollen, wäre das möglicherweise genau das Richtige. This is one exception. Dürrenmatts »The Physicians« played at the Fachhochschule Frankfurt 2011, staged by Nils Volkersen. Taken with a 24mm 2,8 Nikkor, Nikon D700 without flash. The director of the lunatics asylum in the foreground appears more than twice the size of the man sitting on the left. Since she is the boss of the whole setup, a wide angle is a good choice. Dies ist eine Ausnahme. Dürrenmatts »Die Physiker«, gespielt in der Fachhochschule Frankfurt 2011 in einer Inszenierung von Nils Volkersen. Aufgenommen mit einem 24mm 2,8 Nikkor und Nikon D700 ohne Flash. Die Leiterin der Irrenanstalt erscheint mehr als doppelt so groß wie der Mann ganz links. Da sie der große Boss ist, ist hier ein Weitwinkel durchaus angebracht. This too is an exception. Over halloween a group of American kids rang the bell, asking for goodies. I asked them to sit on the sofa and have themselves photographed in return. Frankfurt, probably 2009. Nikon F100, 24mm Nikkor, indirect flash. Dies ist ebenfalls eine Ausnahme. Fastnachtkinder klingelten an unserer Tür und wollten Süßigkeiten. Als Tauschgeschäft bat ich sie, sich aufs Sofa zu setzen und sich fotografieren zu lassen. Ich glaube, das war 2009, in Frankfurt. Nikon F100, 24mm Nikkor, indirekter Flash. A colleague at my place of work. He is a student tutor and specialised in video and film. Taken with Nikon D700 and Nikkor 135mm, f2.0, ISO 200, 1/80s, no flash. Ein Kollege von mir am Arbeitsplatz. Er ist studentischer Tutor und auf Video und Film spezialisiert. Aufgenommen mit Nikon D700 and Nikkor 135mm, f2.0, ISO 200, 1/80s, kein Flash. Daughter of a female student at our college. 135mm DC Nikkor, D700 Nikon. Note the blurred background. The use of a fix-length lens instead of a zoom lens has many advantages: i) more light pours in, so you can work even in poor light conditions; ii) you are forced to move round your subject until all fits in (person and background), thus creating a more dynamic situation between photographer and subject; iii) fix-length lenses focus considerably faster than zoom lenses, in fact, zoom lenses even made by Nikkor are for this reason to my taste useless; iv) if you work at full apperture, you have only the subject in focus, all the rest defocusses nicely (bokeh effect). Tochter einer Studentin unserer Uni. 135mm DC Nikkor, D700 Nikon. Man bemerke den verwaschenen Hintergrund. Die Verwendung von Objektiven mit fester Brennweite bringt eine Reihe Vorteile: i) mehr Licht kommt rein, so dass man sogar unter schlechten Lichtverhältnissen arbeiten kann; ii) man wird gezwungen, sich um das Subjekt so lange zu bewegen, bis alles passt (Person und Hintergrund), was zu einem dynamischeren Verhältnis zwischen Photographen und Model beiträgt; iii) Objektive mit fester Brennweite fokussieren wesentlich schneller als Zoom-Objektive; Zoom-Objektive, sogar die Nikkor-Originale, sind aus diesem Grund in meinen Augen nicht zu gebrauchen; iv) wenn man bei voller Blendenöffnung arbeitet, hat man nur das Subjekt fokussiert, alles andere wird unscharf (bokeh-Effekt). Foreground/Background? When it comes to portraits the background is usually almost blurred out of existence. Check out the internet and you’ll see. Foregrounds aren’t even given a second thought. But human beings live and work in a setting. There is a dialectical relationship between them and their surroundings. This woman working at Damascus airport sweet shop needed some couching before allowing herself to be taken. The lighting is poor, yes. But don’t worry too much about techniques – it’s the spirit of the moment that counts. Nikon F100, 105mm Macro-Nikkor, indirect flash. Vordergrund/Hintergrund? Bei Portraits wird der Hintergrund meistens beinahe zum Verschwinden gebracht. Viele Beispiele im Internet belegen das. Und an den Vordergrund wird erst recht nicht gedacht. Aber Menschen leben und arbeiten in einer Umgebung. Zwischen ihnen und ihrem Setting besteht ein dialektisches Verhältnis. Diese Verkäuferin in einem Süßwarenladen am Flughafen von Damaskus brauchte einige Überredung, um sich fotografieren zu lassen. Die Beleuchtung ist schlecht, ja. Aber mach dir nicht so viele Sorgen um die Technik – es zählt der Geist des Augenblicks. Nikon F100, 105mm Macro-Nikkor, indirekter Flash. Not much foreground here, but this woman bar tender is clearly encased in a three dimensional work area. The alignment of the cupboard and the metal beer pump in front of her make that clear. Nikon D700, Nikkor 135mm DC, no flash. Spring 2011, near Frankfurt. Nicht viel Vordergrund hier, aber die Frau an der Theke befindet sich klar in einem dreidimensionalen Raum. Das unterstreicht die Fluchtlinie des Schranks und der Bierzapfe vor ihr. Nikon D700, Nikkor 135mm DC, ohne Flash. Frühling 2011, Nahe Frankfurt. Woman taken by candle light. Nikon D700, 50mm Nikkor f/1.4. This shows the strengths of the D700. Not only don’t you need a flash, you can play around with the existing light much more and allow it to model your subject. Use of a flash would probably have destroyed the effect. Frau aufgenommen im Kerzenlicht. Nikon D700, 50mm Nikkor f/1,4. Hier spielt der D700 seine Stärken aus. Nicht nur braucht man keinen Flash, man kann mit dem vorhandenen Licht viel mehr spielen und damit das Subjekt modellieren. Die Verwendung eines Flashs hätte diesen Effekt wahrscheinlich zerstört. McDonalds in Frankfurt. 135mm Nikor, 1/30s, F2.8, ISO 400. Spring 2011, taken in the evening. The man coming out is about to clean the glass door, the Vietnamese girls are quite unaware of him – and vice versa. I had to sit down on a chair so as to avoid shaking. McDonalds in Frankfurt. 135mm Nikor, 1/30s, F2,8, ISO 400. Frühling 2011. Der Mann, der durch die Tür rauskommt, wird gleich die Glastür putzen, die Vietnamesinnen wissen von ihm nichts, und umgekehrt. Ich musste mich auf einen Stuhl setzen, um ein Verwackeln zu vermeiden. Enjoy the colours. Frankfurt city library, Spring 2011. Nikkor 50mm, f1.5, Nikon D700, ISO 200. Die Farben genießen. Stadtbibliothek Frankfurt, Frühjahr 2011. Nikkor 50mm, f1.5, Nikon D700, ISO 200. Sometimes it can be amusing to take a whole series of one person. But on the whole, try to take as few pictures as possible. If you have too many, you won’t know which one to choose. Nikon D700, Nikkor 50mm f/1.4. Spring 2011. Es kann manchmal Spaß machen, eine ganze Serie von einer Person zu machen. Aber im allgemeinen solltest du so wenig Bilder wie möglich machen. Wenn du zu viele hast, weißt du schließlich nicht mehr, welche du aussuchen möchtest. Nikon D700, Nikkor 50mm f/1,4. Frühjahr 2011. Children on a bench, taken in Cairo 2008. I promised them to deliver a copy, a promise I hope to fulfill in the near future. The intensity with which they are looking into the camera is very moving. Taken with a Nikon F100, probably 105mm. Kinder auf einer Bank in Kairo, 2008. I versprach ihnen, eine Kopie des Fotos zu geben, ein Versprechen, das ich hoffentlich in naher Zukunft einlösen kann. Die Intensität, mit der sie in die Kamera schauen, ist bewegend. Aufgenommen mit einer Nikon F100, wahrscheinlich mit 105mm. Why 135mm Nikkor f/2 DC for around 1350 Euros? With its large opening of f/2 it allows so much light in and permits you to get everything except the person you are photographing out of focus. For many years I worked happily with 105mm, but 135mm is way better. I would not recommend the 80mm lenses with even wider opening. Also I would strongly recommend against zoom lenses. Zoom lenses take a lot of time to focus properly, don’t allow enough light in and make it too easy to zoom the subject in and out, which would create a very passive situation. Warum der 135mm Nikkor f/2 DC für um die 1350 Euros? Mit ihrer großen Öffnung von f/2 lässt sie so viel Licht rein und erlaubt dir, alles unscharf um das Subjekt drum herum abzulichten. Ich habe jahrelang mit 105mm gearbeitet, und war damit überglücklich, aber 135mm ist noch wesentlich besser. Die in vielen Geschäften angebotenen 80mm mit noch größerer Öffnung würde ich nicht empfehlen. Und von Zooms würde ich ganz die Finger lassen: Sie brauchen viel zu viel Zeit, um richtig zu fokussieren, lassen nicht genug Licht durch und machen es einem zu einfach, die Person rein- bzw. rauszuzoomen, so dass tendenziell eine sehr passive Situation entsteht. Why Nikon D700? For many years I was quite happy with it’s analog forerunner F100. Well at least 6 things speak in favour of spending 1800 Euros on the D700: i) the image quality is unbelievable; ii) you can take photos even in bad lighting without use of flash; iii) it’s full frame, so a wide angle 24mm for 35mm film stays 24mm and doesn’t change into 36mm; iv) it’s extremely fast and does what you want it to do; v) it’s easy to use; vi) it’s nice and heavy, so shaky hands are not such a problem (though use of tripod is recommended with 135mm). Warum Nikon D700? Viele Jahre lang war ich ganz glücklich mit seinem analogen Vorgänger F100. Aber zumindest 6 Gründe sprechen für die Ausgabe von 1800 Euro für den D700: i) die Bildqualität ist unglaublich; ii) man kann sogar unter schlechten Lichtverhältnissen ohne Flash arbeiten; iii) das Format 36x24mm ist das übliche Kleinbildformat, so dass die alten 24mm-Weitwinkel 24mm bleiben und nicht zu 36mm werden; iv) die Kamera ist extrem schnell und tut das, was du von ihr willst; v) sie ist leicht zu bedienen; vi) sie ist schön schwer, so dass zitternde Hände kein so großes Problem sind (wobei bei 135mm die Verwendung eines Stativs empfehlenswert ist). Meanwhile I am the lucky owner of a D750. The main advantage over its predecessor is its capability for taking video – great fun that! Apart from that it has even higher resolution etc. Mittlerweile bin ich der stolze Besitzer einer D750. Der Hauptvorteil gegenüber seinem Vorgänger ist seine Fähigkeit, Videos aufzunehmen – das macht richtig Spaß. Er hat auch eine höhere Pixeldichte. For many years I used the big brother of this 105mm. It was stolen from be in the course of a burglary. Now I have this one – it's smaller and lighter, so from now on I will always have it on me. Ich hatte lange Jahre den großen Bruder dieser 105mm. Bei einem Einbruch ist er mir gestohlen worden. Nun habe ich diesen hier – er ist etwas kleiner und handlicher, so dass ich ihn ab jetzt immer bei mir trage. 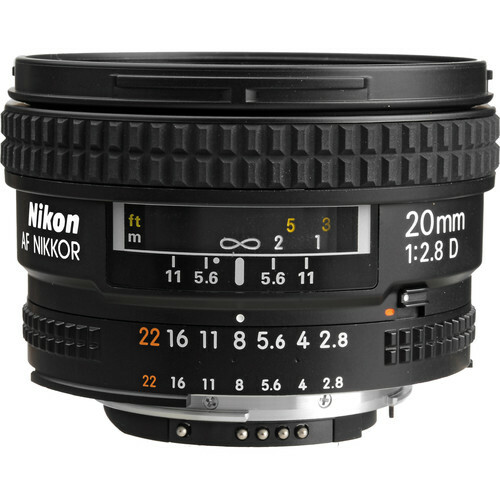 Now why would I want this 20mm if I already have a 24mm? Well, it gives me even more flexibility to take photos of large spaces, demonstrations etc. And I really enjoy using it: it has practically repaced my 24mm. Also very nice for videos in Discos: practically no shaking. Warum denn sollte ich diesen 20mm haben, wenn ich bereits einen 24mm habe? Nun, es gibt mir noch größere Flexibilität, große Plätze, Demonstrationen usw. zu fotografieren. Es genieße es rightig, und es hat meinen 24mm praktisch ersetzt. Auch schön für Video-Aufnahmen in Discos: praktisch gar kein Wackeln. A flash? Mostly you won't need one. But then again there are situations where you can use it to make your subject stand out nicely. Learning to use a flash takes time. For instance, using the »slow flash« allows the camera to take in as much of the background as possible before flashing, so the person in front of you is not overexposed. Ein Flash? Die meiste Zeit wirst du keinen brauchen. Aber es gibt doch Situationen, in denen man ihn verwenden kann, um die aufgenommene Person hervortreten zu lassen. Das Erlernen des Flashgebrauchs braucht seine Zeit. 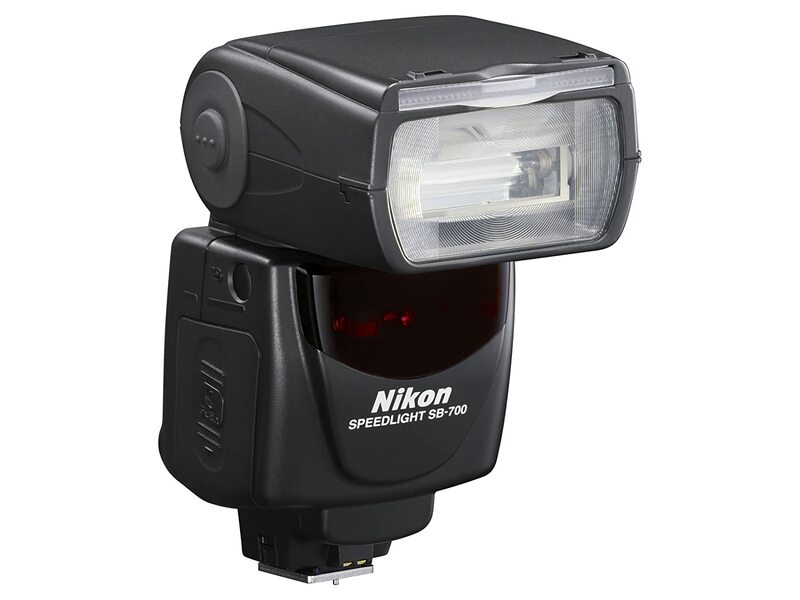 Beispielsweise der »slow Flash« erlaubt es der Kamera, so viel Hintergrundbeleuchtung wie nur möglich aufzunehmen und erst dann die Person im Vordergrund zu erhellen, so dass diese nicht zu grell beleuchtet wird.